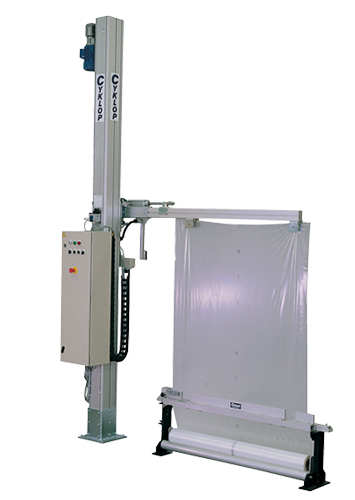 The top-sheet dispenser CTFP is usually placed in a fully automatic packaging line in combination with a pallet wrapper to protect the load at the top against water, dust and other dirt. The machine is made of aluminium. 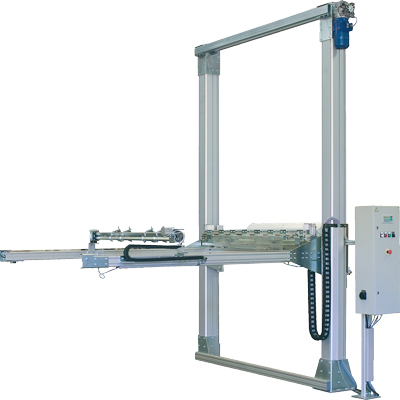 The top-sheet dispenser TF/ITF is usually placed in a fully automatic packaging line in combination with a pallet wrapper to protect the load at the top against water, dust and other dirt. The machine is made of aluminum.